In my latest column, I write about Super Bowl XLIX to explain why the boom in craft beer sales will benefit the wine industry. About 50 million cases of beer were purchased on Super Bowl Sunday. It’s no wonder Anheuser-Busch, America’s largest brewer, purchased three and a half minutes of ad time during the big game. 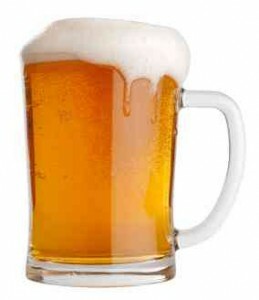 Two of the beer company’s commercials were widely praised. Bud Light’s spot made virtually every viewer hope for an epic evening in a life-sized Pac-Man maze. Budweiser’s tale of a lost puppy finding his way home melted millions of hearts. But Anheuser-Busch’s third commercial, which mocked craft beer and the people who enjoy it, left a bitter taste in the mouths of many football fans. In this narrative, craft beer drinkers are fussy hipsters who dine on Brussels sprouts and chicken liver mousse at cerebral, trendy restaurants. Budweiser fans, by contrast, are blue-blooded men who drive trucks and hang out at packed bars — and don’t give much thought to what they drink. The motivation for this commercial, aimed at making Budweiser synonymous with manliness? Fear. Americans have been abandoning Budweiser for more than 25 years. While the company sold nearly 50 million barrels of its iconic beer in 1988, it sold just 16 million in 2013. Many Americans have moved to light beer, but Budweiser is most worried about the rise of craft beer, especially among 20-somethings. Among 21- to 27-year-old drinkers, more than four in 10 say they’ve never even tried Budweiser. In this demographic, craft beer makes up 15 percent of beer purchases, compared with 10 percent for older generations. This trend is accelerating. That’s great news for craft brewers, obviously, but it’s also a positive development for small wine producers. Are Modern Sommeliers Educators? Absolutely. As regular readers know, I write a free, twice monthly wine column that’s distributed to newspapers across the country. These columns are hosted by Grape Collective. If you don’t see my column in your local newspaper, please send an email to your paper’s editor and CC me (David – at – Terroirist.com). In my latest column, I praise the educational approach favored by today’s top sommeliers. I was out past midnight one recent Wednesday, despite a meeting early the next morning. When I headed home, my route took me through Washington, D.C.’s popular 14th Streetcorridor, where a few bars and restaurants were still open. As I passed Doi Moi, a trendy Southeast Asian restaurant, I noticed that virtually every table in the front half of the restaurant was full. Odd for so late on a weeknight, I thought. I then realized that the tables were packed with staffers. The team had assembled, with notebooks and glasses in hand, to learn from wine director Max Kuller. He holds seminars twice each month to teach his team about wine. Kuller represents a new generation of sommeliers, one that has rejected the exclusivity and stuffiness of yesteryear in favor of an approach that values inclusivity and education. Kuller is more comfortable in jeans and a T-shirt than a three-piece suit. And while his list includes a handful of expensive trophies, it mostly offers offbeat, wallet-friendly wines that work well with Doi Moi’s cuisine. Thanks to regular gatherings, Kuller’s team is familiar with Doi Moi’s full list. And Kuller works hard to make sure his colleagues take the interaction of wine with food seriously. Spotting the late-night wine seminar was refreshing. Earlier that evening, I dined at La Chaumiere, a French bistro in Georgetown that opened its doors in 1976 and has hardly changed since. In my latest column, I make three predictions about the year ahead. Last year, many retailers stopped using points to sell wines. Instead of “shelf talkers” advertising reviews from publications like Wine Spectator, shops offered handwritten notes praising certain wines. Many restaurants, too, removed points from their menus in 2014. Instead, they decided to educate their servers about wine — and hire fun sommeliers to chat with guests. 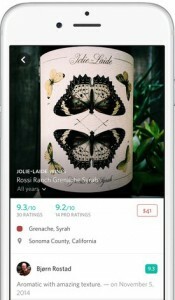 Thanks to popular mobile apps like Delectable, wine consumers moved away from critics like Robert Parker and toward fellow enthusiasts with similar palates. Champagne will find a spot at the dinner table. Oenophiles have always talked about top Champagne with the same reverence they reserve for the finest wines of Bordeaux and Burgundy. But for most of the past 50 years, everyday Americans poo-pooed Champagne. The good stuff was too expensive and rarely seemed worth it. And the imitations served at weddings — think Cook’s and cheap Prosecco — was, well, gross. In my latest column, I look at the history of wine and war at Christmastime — and offer an important holiday message. One hundred years ago this week, France launched its first major offensive against Germany in WorldWar I. 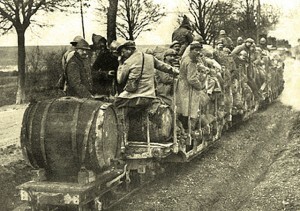 The fight took place in the winegrowing region of Champagne, which the German army had invaded just weeks after hostilities broke out. Nearly 200,000 lives were lost in the three-month battle. Champagne witnessed some of the war‘s heaviest fighting. The region’s two largest cities — Reims and Epernay — were bombarded for three years. 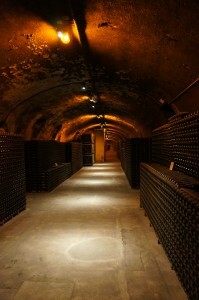 Locals took shelter in the caves under houses like Veuve Clicquot, Krug, and Taittinger. The vineyards became battlefields. A full century has passed since the Battle of Champagne. But wine remains inextricably tied to conflict. And the bottles that survive continue to offer a window to other times and places. 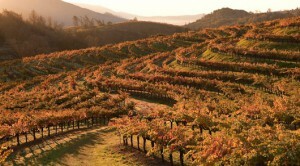 In my latest column,I explain how Delectable could revolutionize how Americans purchase wine. Alexander Niehenke began to appreciate wine ten years ago. But for the first four years, it was simply a beverage he enjoyed with dinner from time to time, especially when cooking at home. But then he put his nose in a glass of Cabernet Sauvignon from Justin, a winery based in Paso Robles, California. 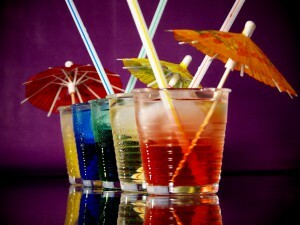 He was at a bachelor party, where few attendees were paying any attention to the wine inside their glasses. But for Niehenke, the aromas were intoxicating. Something clicked. So he promptly dove into the world of wine. For the next five years, Niehenke’s passion for wine grew steadily and predictably. As a resident of San Francisco, weekend trips to Napa Valley and Sonoma were easy — so he started driving north regularly. 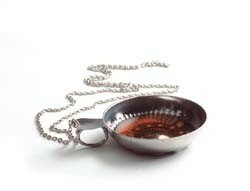 He began attending tastings, reading wine publications, and even collecting. In my latest column,I explain why the baffling rhetoric of tasting notes intimidates consumers and stands in the way of wine appreciation. And I urge wine enthusiasts to change the way we talk about wine. “This first wine is a fighter; he’s loud. 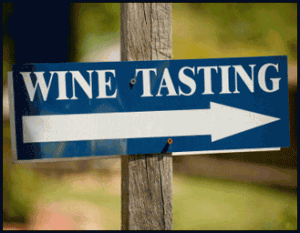 The second wine is pensive; she has a dark side.” This past Saturday, as I led a seminar in Chevy Chase, Maryland, one of the participants offered these tasting notes while comparing two wines. We were exploring Pinot Noir from California and France. I offered more typical descriptions to highlight the differences — dark, ripe cherries on the Sonoma example versus earthy, tart cherries on the one from Burgundy — and several students pushed back. At least half the room admitted that they find tasting notes bewildering. Others acknowledged that they scoff at wine descriptors. Many confessed that such notes intimidate them. At first, I defended the standard wine review. I collect wine, so I pay close attention to people whose palates are similar to mine, like Eric Asimov of the New York Times. And I read reviews from critics like Stephen Tanzer and Antonio Galloni of Vinous to glean information about a wine’s general flavor profile. With Chardonnay, for example, I’m interested in wines that are high in acid and offer aromas of tart citrus fruits. I’m rarely excited by a heavy Chardonnay with notes of ripe tropical fruits, butter, and oak. Basic descriptors like these help describe a wine and its style. But I could sympathize with my students. Communicating effectively about wine shouldn’t demand an encyclopedic knowledge of rare fruits and bizarre aromas; after all, wine is just fermented grape juice. Thanks to mass-market wine magazines, however, we’ve come to expect gobbledygook. Courtesy of Somerston Wine Co. In my latest column, I profile one of Napa Valley’s most successful winegrowers, Craig Becker. His business plan for a new project is particularly noteworthy, as it relies on nothing more than good grapes and honesty! “No one needs a new wine brand,” explained Craig Becker, a veteran Napa Valley winegrower, over breakfast one recent morning. We were discussing the market for expensive Cabernet Sauvignon. Even though Napa Valley produces less wine than most people realize — it accounts for just four percent of California’s yield — the region produces plenty of high-end offerings. Napa Valley is home to more than 500 wineries, and the average price for a bottle of “Napa Cab” shipped directly to consumers exceeds $80. Yet Becker is betting that one of his latest projects, Priest Ranch, will thrive. His blueprint is simple: it relies on good grapes and honesty. Considering Becker’s track record, his plan will almost certainly succeed. In my latest column, I profile Paul Mabray, who is revolutionizing customer service for wineries across the world. This quote has long been Mabray’s mantra. And it’s the guiding philosophy behind VinTank, the company he launched in 2009. “If your phone rings, you answer. If someone sends you an email, you reply. But with social media, there’s so much noise that some people simply ignore it,” Mabray explained one recent afternoon in Yountville, California. For Mabray, this is crazy. Every communication deserves a response. So together with programming wizard James Jory, he designed a platform to “hear” every conversation about wine on social media, and for wineries to “listen” to conversations about their brands. In my latest column, I contend that New Zealand offers much more than just Sauvignon Blanc. Americans are fascinated by New Zealand. Thanks to “The Lord of the Rings” — and the tourism board’s “100% Pure New Zealand” marketing campaign — we envision stunning landscapes when we think of the island nation. We picture a playground for adventure, with endless options for hiking, bungee jumping, whale watching, and the like. When it comes to wine, though, Americans know very little about New Zealand. If anything, we simply think of Marlborough Sauvignon Blanc. Because of brands like Oyster Bay and Kim Crawford, most wine enthusiasts are familiar with the nation’s signature style, marked by explosive aromas of fresh-cut grass and bracing acidity. Indeed, that single variety accounts for 84.5 percent of the nation’s wine exports. 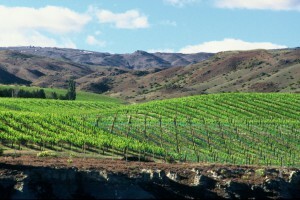 And each year, New Zealand ships nearly 50 million bottles of Sauvignon Blanc to the United States. Eric Platt, the U.S. representative for Pacific Prime Wines, an import company backed by four, family-owned New Zealand wine producers, is on a mission to show that New Zealand’s offerings are actually quite diverse. In my latest column, I explain why the wine industry has nothing to fear from cocktails and craft beer. Wine industry executives are worried about the growing interest in craft beer and spirits from America’s 20- and 30-somethings. That’s one takeaway from a fascinating new survey of the wine industry’s top executives by Robert Smiley, dean and professor emeritus at the University of California Davis Graduate School of Management. Smiley’s survey is conducted each year and always generates headlines, since Smiley is able to connect with some of wine’s heaviest hitters. This year, for instance, senior executives at E&J Gallo, The Wine Group, and Constellation Brands participated. The nation’s three largest wine companies, these firms account for nearly half the wine sold in the United States. Worrying about America’s 75 million millennials makes sense. But fearing millennials’ interest in craft beer and spirits is misguided. America’s thirst for wine appears insatiable.